New York : Patients with post-traumatic stress disorder (PTSD) who have a larger brain region are more likely to respond to exposure-based therapy a type of cognitive behavioural therapy for the mental health condition, finds a new research. PTSD is a mental health condition triggered by experiencing or seeing a terrifying event. The findings showed that patients suffering from PTSD with a larger hippocampus a region of the brain key to distinguishing between safety and threat responded quickly to exposure-based therapy. Exposure-based therapy is a type of cognitive behavioural therapy to help patients with PTSD discriminate between real and imagined trauma. Also, having a smaller hippocampus may be a contraindication for prolonged exposure to trauma, the researchers said. Further, hippocampus has been found key to distinguishing between cues that signal safety and those that signal threat. According to previous researches, having a smaller hippocampus can lead to an increased risk of PTSD. “If replicated, these findings have important implications for screening and treating patients who have been exposed to trauma,” said Yuval Neria, professor at Columbia University Medical Centre (CUMC) in the US. In the research, published online in the journal Psychiatry Research: Neuroimaging, the team examined the relationship between hippocampus volume, measured with MRI, and response to treatment in 50 participants with PTSD and 36 trauma-exposed healthy controls. 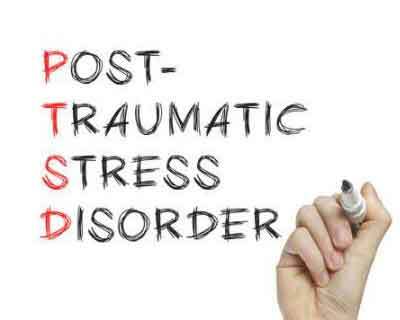 The study found that patients with PTSD who responded to treatment had greater hippocampal volume at the beginning of the study than non-responders to treatment. “Future research may help to determine if PTSD patients with a smaller hippocampus respond better to other treatments such as medication, either alone or in combination with psychotherapy,” added lead author Mikael Rubin, doctoral student at University of Texas in the US.